John Drummond's story last week about his New Year's Eve exploits with Randy Roman reminded me of a similar story I documented in my first book "A Million Tomorrows...Memories of the Class of '64" in which I recounted the exploits of one of my friends and me on a warm summer's night in May of 1964. I take part of the text out of content and expand upon the words I wrote 50-years ago. The tale goes as such. For the majority of the students during our era, lunch was eaten each day in the school lunch room. You only had two options for what you ate. You could carry you own lunch in a brown paper bag or you could buy one in the school lunchroom. The school lunch menu was always a set institutional meal and we had no optional selections of nourishment available. There were no candy machines or soft drink machines or any other food vending machines available for students . That was what made eating somewhere else during a normal school day seem special. By taking advantage of my position as the editor of the paper, I sometimes had a way to work around the system. A trip to check on the progress of the paper, or to sell ads for it, had some sidetrack opportunities. If I happened to elect to go do those things during school time, it seemed only fair that I should be able to do other things while I was away from school, like eat lunch at one of the local hangouts. A better benefit of my association with the school newspaper was one that came later that night. A small carnival full of rides was in town and set up in the parking lot of Miracle City on the Parkway Strip. My friend, a sophomore also at Lee, and I went there to ride some of the rides and see whatever else there was to see that night. About the time we were getting ready to leave two members of the Lee cheerleading squad showed up and ran into us as we were about to get in our car. One of them was June (name changed to protect her reputation), who was the girl with whom I had shared the "deep secret" of our innocent night in the motel while we were at the Alabama High School Press Association Convention. She was a very attractive and desirable girl, and in the company of Judy, they made a very attractive duo. Judy was also a cheerleader at Lee. Any red-blooded high school boy loved to be seen in the company of cheerleaders. It was a form of male vanity to be seen with girls like that. Walking around with a cheerleader by your side made you somebody big on the social scale. The observers didn't have to know you had just accidentally met her at the amusement rides in a local department store parking lot and were just hanging out together and not on a real date. They didn't have to know that after all the rides were over you both would go off in separate directions and you would not be the one to walk her to her door after an exciting evening. To the casual observers, it was a double date. my friend and I were with the cheerleader and the popular, attractive, reporter. The "date" centered on all the thrill rides set up in the parking lot. I cannot explain why, but to me there was always something almost sexual about riding amusement rides with attractive girls. It gave you a great opportunity to sit close and put your arm around them. The sliding and slinging of the rides always crammed the occupants of the cars close together. To have a cheerleader's body crammed up close beside your's was a high school boy's dream come true, especially those who would be called nerds in current conversations. There also was the stereotyped teenage girl's reaction to the scary rides. They would hide their eyes and grab and hold on to whoever was close to them. They also loved to shield their head by turning it into the shoulders of their protectors. That also was not a bad position for a teenage boy to be in. So, for a short period that night, the two of us boys basked in the company of the girls. Taking all opportunities to get them to ride the rides that would give them the greatest thrill sensations and us the greatest amount of bodily contact. The roller coaster, the Ferris wheel, the Tilt-A-Whirl and the Scrambler were always favorites of mine. Of this selection, the Scrambler was always the best one with which to share the company of an attractive female companion. The sliding back and forth, and slinging in and out of the ride always assured some heavy bodily contact and fun for all. Each ride had its own merits. The greatest boy-girl contact opportunity of all known amusement rides was presented by "The Scary House." The walk-in houses were okay, but the ones that had cars in which you rode were better. If you could share a car with a girl in the dark and threatening "Haunted House" you could be in heaven. There were special opportunities presented inside the slow-moving car, in the dark house with "spiders and snakes and ghosts and skeletons" jumping out at you from the shadows. The buzzers and unexpected blasts of air and screams from nowhere guaranteed that sometime, somewhere, before the ride was over, your girl would be climbing all over your body, seeking the security which you offered, even if you were not a member of the football team. "Take advantage of any opportunity" - the code of the teenage boy. As expected and predicted, once the money ran out or the rides closed down, the "date" was over. The two couples, no longer paired together but now boy and boy and girl and girl, loaded into their respective forms of transportation and rode off into the calm of the night air. The night and what it meant to us boys would remain a story retold with ever-expanding exploits added to the truth with each retelling. It was a movie script played out in real life. It was an exciting evening, shared by old and new friends. It was the fun of the moment, taking advantage of the opportunity. I enjoyed the thrill of being a teenager and a high school senior and being with a cheerleader. Memphis, TN - The trigger finger surgery went well and I can still type, good or bad for you I am afraid. It was a little more detailed than expected and took more than me just sitting down and getting a shot and the doctor working on it in his office. It involved a full sedation and an operating room visit, but the results are good, leaving me with an incision with three stitches and a little dull pain. I am sure once the thing heals I will be as good as new. I'm looking forward to the reunion and had to go back and insure I had both registered and actually booked the room at the hotel - and both tasks had been accomplished. I hope all of you who are still undecided please reconsider and join us for a weekend of fun and visitation. Thanks to all of you who downloaded my book "A Million Tomorrows...Memories of the Class of '64" last week. Between you classmates and the folks on Facebook, the book was downloaded almost 200 times during the period and pushed it to a Number One ranking in two Amazon categories. We have reunion fever down here in Huntsville. All of us are reminiscing about the past, esp. high school years. What are you talking about, "MY FAN CLUB?" I had a crush on all three of them. One Sunday night at EYC, Noel and I sneaked away for an impromptu smooching session. We thought no one would miss us; HA!! After about 10 minutes of (compared to today) rather chaste embraces, we casually walked back into the building. Unknown to both of us, but readily apparent to EVERYONE ELSE in the church Fellowship Hall, my mouth was covered in lipstick the exact same color of hers. 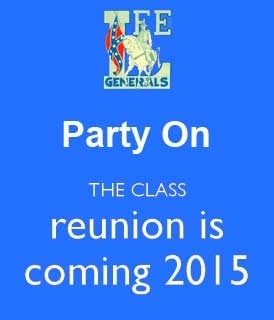 The next Lee Lunch Bunch get-together - and the last one for the year - will be August 27th, 2015. Same time/same place. 11:00 a.m. at Logan's off of Airport Rd. If possible, please send me some kind of message if you think you are going to be there so I can give the restaurant a ballpark figure of how many to set up for. Hope to see a BUNCH of you there! In four weeks we will be celebrating the 2015 joint reunion of the LHS classes of ’64,’65,’66. Graduates from the class of ‘67, along with classmates that started with us, but moved on to other schools or adventures before graduation day are welcome to join us as well. While the calendar shows the reunion a month away, the reunion committee has many decisions to make beforehand, and most of those are dependent on the number of people attending. As of today we have 181 classmates & guests registered. We know there are many more planning to attend, and it’s really important that we receive their registration forms and payment as soon as possible. 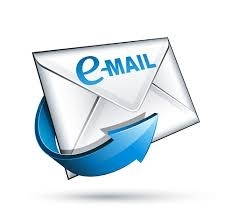 If you have not seen, received, or have misplaced the information regarding the reunion, send an e-mail to njkincaid@hotmail.com and a registration form will be sent to you via e-mail. #1) The class of ’66 will not be hosting a big reunion next year. They are treating this as their 50th; so, if you want a chance to see lots of your old friends, this is the event to attend. The next scheduled reunion won’t be held until 2020 . #2) Hardcopy handbooks will be printed only for those ordering and paying for them prior to the reunion. (A free PDF version of the handbook will be sent to all classmates for whom we have e-mail addresses.) In order to have the hardcopy ready to distribute at the reunion, it must go to the printer on September 1st. So, even if you do not fill out a registration form to attend the reunion, please send any corrections to your information in the 2010 handbook to njkincaid@hotmail.com before September 1st. For those ordering hardcopy handbooks, your copy will be at your class sign-in table Saturday evening. Our 50th reunions are an important milestone for all of us. We have plans for a truly memorable event. Please join us to make it the best one ever! The next Lee Lunch Bunch get-together at Logan’s on Balmoral Drive is set for Thursday, August 27th at 11:00 a.m. If you think you’ll be able to attend, please sent a note to njkincaid@hotmail.com so we can give Logan’s a ballpark figure so they can have the room ready for us. upcoming joint '64-'65-'66 2015 Reunion. Tommy, my thanks to you for giving us this perfectly written story and especially John for writing it! Being a product of this era, it sure hit the nail on the head. I sit here at 5am, in front of my computer, laughing like an idiot. It's almost like a trip back in time. Boy, can I relate. I do agree with John, if you hadn't seen American Graffiti, (and I can't believe you haven't), please take John's advice and do. PS. I know I'm not one of the, "Lee Familee", but I do have two daughters and a little Brother that were and my heart has never left Five Points, so maybe I can qualify. John should get "Best Story of the Year" for this one.